2004: Manchester United beat Millwall 3-0 to lift the FA Cup; Ukraine won the Eurovision Song Contest with Wild Horses by the lovely Ruslana; Facebook launches; Shrek 2, Harry Potter and the Prisoner of Azkaban, Van Helsing, The Passion of the Christ, Resident Evil: Apocalypse, Meet the Fockers, Blade: Trinity, Spider-Man 2, Alien vs. Predator, Kill Bill Vol. 2, Fahrenheit 9/11, I, Robot were released in cinemas; Maroon 5 released Songs About Jane, Green Day released American Idiot, Norah Jones released Feels Like Home, Eminem released Encore, U2 release How to Dismantle an Atomic Bomb, Duran Duran release Astronaut. 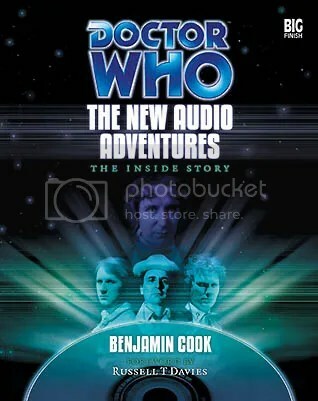 Also released was the first guidebook to the Big Finish audios The New Audio Adventures: The Inside Story written by Benjamin Cook. This was a warts and all review of the first 50 Big Finish audio releases and some of the spin-offs including the Sarah Jane audios, the Unbound and the Dalek Empire series. What made this book interesting was the honesty of some of what was written, and that was quite refreshing for a behind the scenes book where the party line is usually adhered to and criticisms are kept to a minimum.